The DOV Project provides dental services to our veterans thanks to the generosity of people and companies within our community. Please help us continue with our important work by donating to the DOV Project. All donations are tax deductible. You will receive a letter of appreciation which will serve to document your donation for tax purposes. 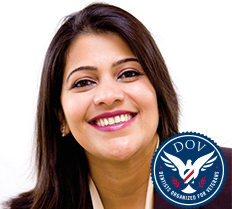 The DOV Project is the first private, full-service dental clinic in the United States wholly devoted to veterans who do not qualify for dental services from the Veterans Administration and who cannot afford dental care. The DOV Project is a non-profit, 501(c)3, dental clinic whose patient base are all veterans of any branch who do not qualify for dental services from the VA and are not in a financial position to pay for on-going dental treatment. Currently, the qualifications to receive dental treatment from the Veterans Administration Health Services is quite narrow. In general, a veteran qualifies for dental services if he or she has a service related dental injury, is fully disabled or is a former prisoner of war. Veterans who do not fit in either of these categories or classes receive no dental benefits regardless of his or her need for dental care. Consequently, a significant portion of veterans, many of whom cannot afford dental insurance, suffer through extremely poor oral health and dental neglect. 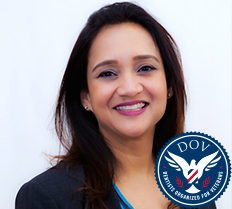 The dental professionals at DOV, over seen by Clinical Director, Angela Bayat, DDS, seek to address this appalling circumstance and provide the same standard of care and variety of services found in any modern, private practice at no cost to the veteran. While there are various organizations which provide free dental care to the general public, including veterans, access is intermittent and does not address consistent, on-going, dental care. 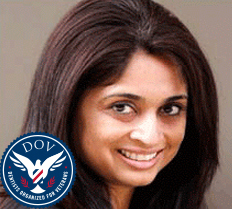 The DOV Project in contrast looks to serve the veteran population specifically. By narrowing our focus, we can provide individual, attentive care on an as-needed basis. 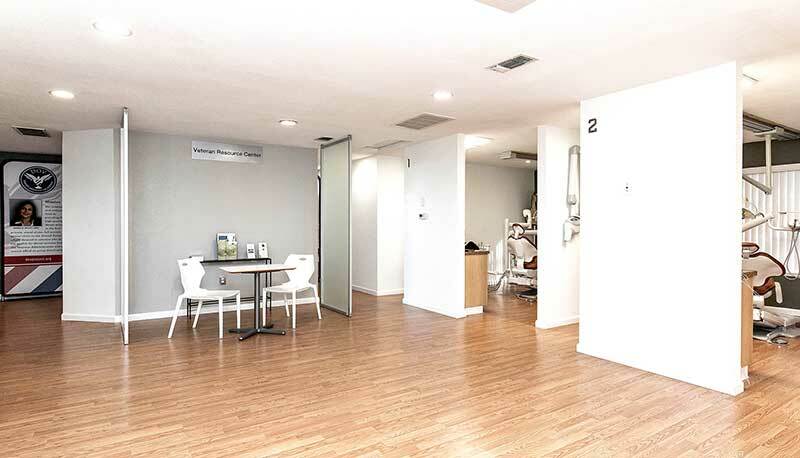 We can take the time to plan strategic, long term, treatment regimens and provide a desired level of commitment and predictability to the veterans who become our patients. By providing this much needed service, we hope to have a major impact on the overall health of our veterans and give them the support to live productive lives in our communities. Dental Clinic For Veterans, Full story on the DOV Project. The mission of Dentists Organized For Veterans is to enhance lives by providing free, on-going, high-quality dental services in the first private, stand alone, full-service dental clinic in the United States wholly devoted to veterans who do not qualify for dental services from the Veterans Administration and who cannot afford dental care. We envision a national network of DOV clinics staffed by DOV-trained veterans who are qualified administrative and clinical dental professionals and located throughout the country wherever there is a veteran population that needs these services. We believe in the inherent and inviolate social contract that defines the relationship between our nation and our veterans: an enduring moral obligation for civilians to help the men and women who have served our country and given so much of themselves to allow us to live free. We have an obligation to recognize the veteran experience and develop solutions, collaboratively, that help veterans live the full and productive post-service lives they deserve. President Abraham Lincoln's pledge in 1865 "to care for him who shall have borne the battle" is an eternal promise that holds for present and future generations. Dr. Bayat has lived all over the world and brings a global perspective on patient care and health. Beginning her professional career as a Pharmacy student, Dr. Bayat eventually pursued dentistry as a field that would give her more personal contact with patients. Fluent in three languages, she has a natural talent not only as a practitioner but a trusted care giver who listens to and addresses the specific concerns of her patients. A graduate of the University of The Pacific Dental School in San Francisco, Dr. Bayat is very active in the dental community. She is a member of the American Dental Association, the California Dental Association, the American Academy of Implant Dentistry, the Contra Costa Dental Society and a member of the Board Of Advisors of CalDPac for the California Dental Association. In her drive to bring the most current standards of care to her patients, she is specially trained in all aspects of dentistry, including endodontics and implants. Making the teeth and smile look natural while emphasizing oral health is truly where dentistry and art meet. 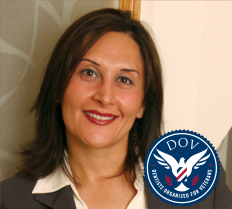 Dr. Bayat applies her artistry to DOV veterans of varying ages, dental and cosmetic needs. From fillings and crowns to full mouth reconstruction, Dr. Bayat can create the beautiful smile our veterans want and deserve. 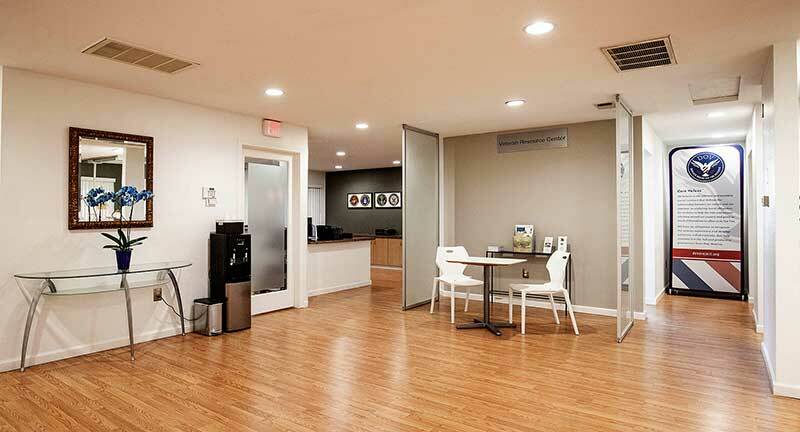 Dr. Suparna Vohra has been practicing dentistry for 20 years. She believes strongly in exceptional patient comfort, exceptional professional quality, and adoption of proven new technology. She believes in educating her patients about good long term oral health, and in ensuring patients make fully informed choices about their treatment. She brings a caring, warm chair-side manner and a great sense of humor to her work. She has built a loyal following of patients who find her approach to dentistry to be refreshing and enjoyable. Attention to detail makes her skilled at her craft, while a sense of empathy helps her care for her patients who are in pain, are nervous or who have other questions or concerns. Outside of the office, Dr. Vohra has hosted television talk shows and pursued the world of Improvisational acting — Put her 'in a spot' and watch her deliver a real performance! She speaks 5 languages; of which she enjoys Italian the most. She travels the globe with her husband and brings the wonder of her experiences back to share with her patients. Dr. Hema Patel attended New York University for Advanced Education in General and Restorative Dentistry and Gujarat University in India where she earned degrees in Dental Surgery. The residencies at both schools encompassed all aspects of dentistry including restorative, periodontal and surgical specialties. Committed to maintaining the highest standards for excellent care, along with the ADA and CDA, she is a member of the Academy of General Dentistry and American Academy of Cosmetic Dentistry, and pursuing fellowship and accreditation for both institutions. 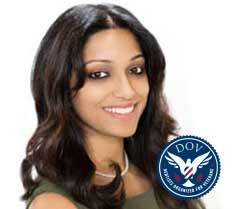 Dr. Patel is currently a fellow with the American College of Dentists, an honor society of the profession. Highly trained at top dental programs such as the Dawson Academy, Spear Institute and American Dental Association's Institute for Diversity in Leadership, Dr. Patel offers a wide array of restorative, preventive and cosmetic services to her patients. Her training and expertise allows her to treat all family members including kids and seniors. Outside the office, Dr. Patel is an avid hiker trekking across many places throughout the US and around the world. With a passion for adventure, you can always expect her to recount her most recent accomplishments such as venturing the 'Everest Base Camp Trek' in the heart of Himalayas and the Inca Trail to the Machu Picchu. Dr. Singh has been in practice for more than 15 years and believes in empowering her patients with the knowledge that maintaining their oral health plays an essential role in their overall well-being. In 2004, Dr. Singh graduated from the International Dental License Program at the University of the Pacific in San Francisco. She is a member of the American Dental Association, the California Dental Association, San Joaquin society and Tracy Chamber of Commerce. Dr. Singh maintains a welcoming, modern, and safe environment for her patients, utilizing the most cutting-edge technologies and treatment protocols. She is passionate about the practice of dentistry and spends a significant amount of time continuing her education to stay up to date with advances in dental techniques and services. 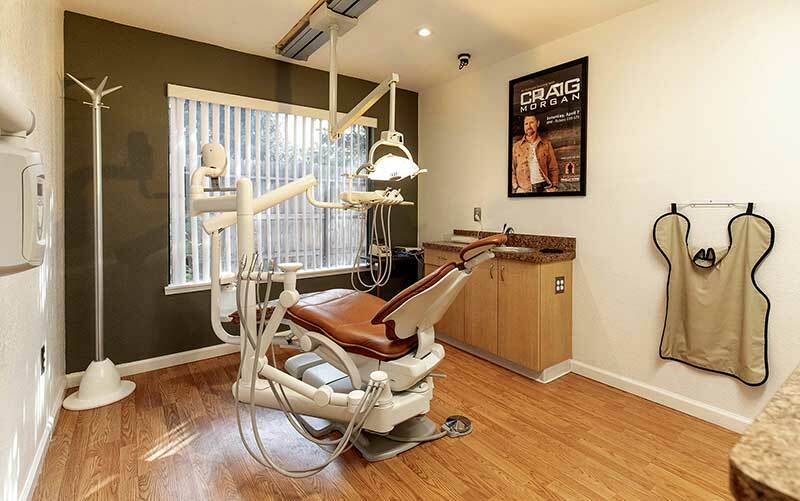 She possesses advanced skills in sedation dentistry, dental implants, and cosmetic dentistry. 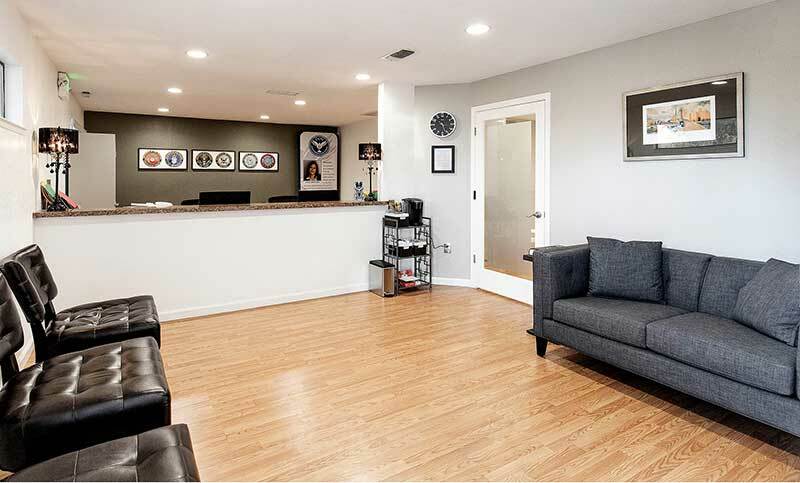 Warm, inviting and focused on the needs of her patients, Dr. Singh is living her dream by providing the finest dentistry to the veterans of the greater San Joaquin Valley. For nearly 12 years, Dr Preeti Kumar has been providing the highest quality dentistry to patients of the Bay Area. Her approach to dentistry is personal and community based wherein she emphasizes individual health as the responsibility of the patient and his or her family. In her private practice, it is common to see people of all ages and backgrounds treated for a wide range of dental needs from initial cleanings and hygiene to cosmetic restorations and implants. A member of the CDA, ADA, Academy of General Denstistry and the Alameda Dental Society, Dr Kumar has extensive training in all aspects of dentistry including Invisalign and porcelain restorations. With a strong belief that highly effective dentistry is based on prevention, leading edge current training and techniques and compassionate care, Dr Kumar employs modern standards of care throughout every aspect of her office. Dr Kumar exudes a sense of warmth and comfort that soothes even the most fearful of patients. With just one visit, veterans will understand how dental visits can be a simple step on the way to better health. Welcome to the DOV Project. The free dental services provided are not intended for all military veterans especially if they are in a financial position to pay for dental care. Rather, if you are a veteran who does not have the financial means through yourself or your family to afford on going dental treatment, you may be eligible for DOV services. In addition, if you have qualified for DOV services but at some point in the future your circumstances change and your financial position allows you to pay for dental services, you may no longer qualify to be a DOV patient. If you do not qualify, you may be seen at our office Mt. Diablo Family Dentists which serves the general population. They provide exceptional care and as a veteran, you will receive dental services at significantly discounted rates and you may use your insurance. Please fill out the following application and we will quickly begin the process of evaluating whether you are eligible for DOV services. You must be a veteran of the armed services. You must have been discharged honorably, however there are exceptions on a case by case basis. Your gross household income may not exceed $34,000.00 per year if you are single or $38,000.00 per year if you have a family. You do not have additional assets or financial resources such as a spouse, family, investments, property or insurance to pay for dental care. In addition, you will be asked to supply copies of your discharge papers, military identification card and tax returns for the previous 2 years. DOV requires that all veteran applicants submit the following paperwork. If all required documents are not submitted with this application, the application will not be processed. If there are extenuating circumstances, please contact the DOV office to discuss your case. Veteran complete valid DD214. If you do not have a copy, please contact the Veterans Service Office in Stockton, CA at 209.486.2916. They can retrieve a copy for you to provide to us. Copy of current Veteran ID card such as: VA ID card, Armed Forces card, Uniformed Services ID card. Copy of last two (2) years of tax returns. If you have not or do not file taxes, we will need to see alternative documents which illustrate your fiscal situation. If necessary we will run a credit check/background check to satisfy our criteria for fiscal need. Completed HIPPA agreement attached with this application allowing DOV access to needed medical information relating to the veteran's dental treatment.